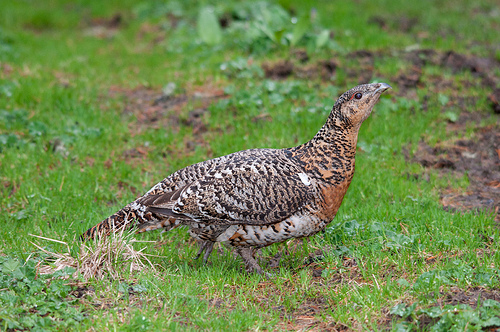 The Capercaillie is not very common in western Europe. But this impressive bird can be seen in the forests of northern and eastern Europe. 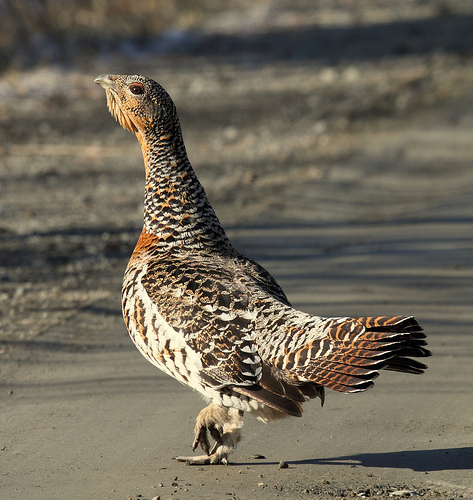 The Capercaillie is much larger than the Black Grouse, has more brown on the wings, and a wide, fan-shaped tail.